So yes, here I am giving another book a 3.75 star rating. I’ve read a few of these this year – ones where I’ve given a rating in between the 3.5 and 4-star rating. Yet, I feel compelled to since it does rate better than a 3.5-star but it just wasn’t quite the excellent 4-star rating kind of read for me. 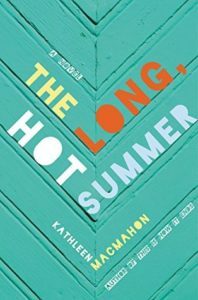 I was reminded often of The Long, Hot Summer by Kathleen MacMahon, (a book I read last summer), when reading Saints for All Occasions. The structure of how Saints is told is what I think most reminds me about it. It is perhaps this style used in Saints for All Occasions that I liked best too. There were strengths and weaknesses to this book for me, so I think I may style my thoughts here using that format/breakdown. The timeline used to tell the story: We begin in 2009 with Nora. I liked the two time-frames for telling the story – 2009 and beginning in 1957-58. Nora has just learned that her eldest son, Patrick has been killed in an one-person car accident. Patrick was driving drunk. The rest of Nora’s children, John, Bridget and Brian remember Patrick as being the favoured child, the one believing his real name was “My Patrick”, as that is how Nora often referred to him. Nora then makes a phone call to a convent in Vermont to have them inform a Mother Cecilia Flynn of Patrick’s death. The flashback timeline used to tell the story: We then flashback to 1957-58 where Nora and her sister Theresa are leaving Ireland, travelling to Boston to be with the man Nora is engaged to – Charlie Rafferty. Nora would not leave without her sister, Theresa. She is the one she has watched over ever since her mother’s death and she could not imagine leaving Theresa without the firm handed guidance Nora has provided her all of her life. Nora isn’t exactly in love with Charlie and when they arrive in Boston she finds many ways of putting off their marriage, until a major event involving Theresa forces her hand. In these flashback years, we hear from Nora and Theresa in turn and learn what their life is like settling in Boston. I think, for me, Theresa’s storyline was the most appealing and interesting. 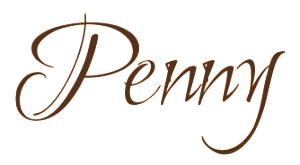 In these flashbacks we find out Theresa’s fate and why she has become a cloistered nun. There is that special touch of melancholy and sadness that can be found often in Irish stories. While character development is a strength, we don’t really get a strong sense of Patrick – who he was, why he was the way he was. (He owns the bar, yes, he’s drinks heavily, and he’s not close with John. But there just isn’t a strong, strong sense of him.) We don’t ever have a moment/chapter just with Patrick, in his voice. We only very briefly hear his questioning who his father is, when Nora’s husband, Charlie dies. Patrick knows his father wasn’t Charlie, but Nora quickly dismisses this and never speaks of it again, and it really doesn’t seem to be a focus of the story. We don’t hear how this might have shaped Patrick, how long he felt that Charlie wasn’t his father, and what the other siblings may have thought. The revelation about Mother Cecilia being Nora’s sister comes about at the very end of the book and it doesn’t seem to have a great impact. The kids find out at Patrick’s funeral and it just doesn’t come across with enough oomph. There is a character mentioned that John is working for and is quite a controversial character for the family actually, but this isn’t ever developed into the explosive revelation it could have been / should have been. No one ever finds out the true story of Patrick’s father – what it would meant/have impacted Patrick’s brothers and sister, their family unit. It wraps up without that secret ever being revealed to anyone. The connection with Theresa, Nora, her family, and Patrick isn’t really developed and doesn’t come through with that oomph like I mentioned above. It ends somewhat sweetly, but still seems to limp to that ending. Thank you to Penguin Random House Canada for sending the galley copy. Much appreciated, as always! 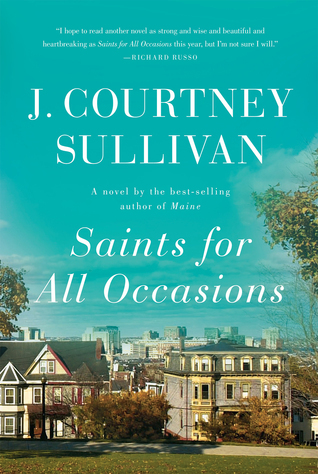 The Saints for All Occasions was also chosen as our book club read for our early August reading. We seem to have all read it at this point, and the consensus by those that I’ve seen recently seems to be similar in their feelings about it. An enjoyable summer read.